A Post-Forum Field Trip (Max 30 persons) will be organized from 7 to 9 November 2020. 1792 Unzen-Mayuyama megaslide by an earthquake and caused big Tsunami disaster. Visit to Unzen Volcanic Area Global Geopark, Unzen Disaster Memorial Hall. Leave from Kumamoto Station/Airport to Osaka by railway, or from Kumamoto airport to Osaka, Tokyo or return to each country through Fukuoka airport. 1. Hiroshima (urban small-scale landslides and debris flow, World Cultural Heritage “Itsukushima Shrine”, and “Hiroshima Peace Memorial Park”. 2. 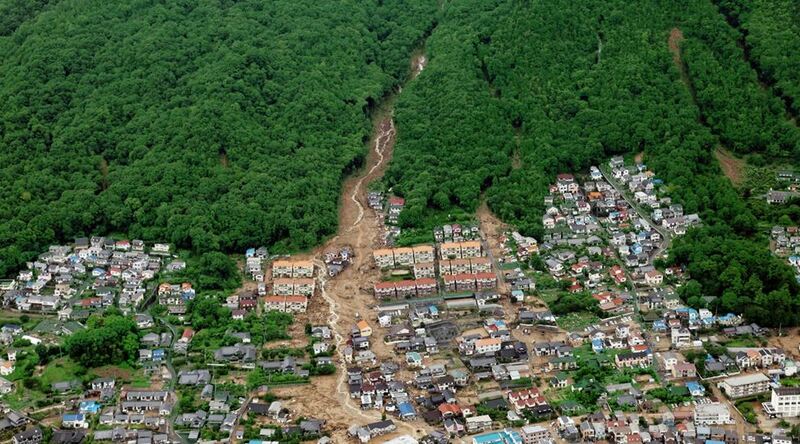 Unzen volcano and megaslide-induced tsunami (Unzen volcano, Unzen Volcanic Area Geopark Geopark, Unzen landslide-and-tsunami disaster (15,153 people was killed). 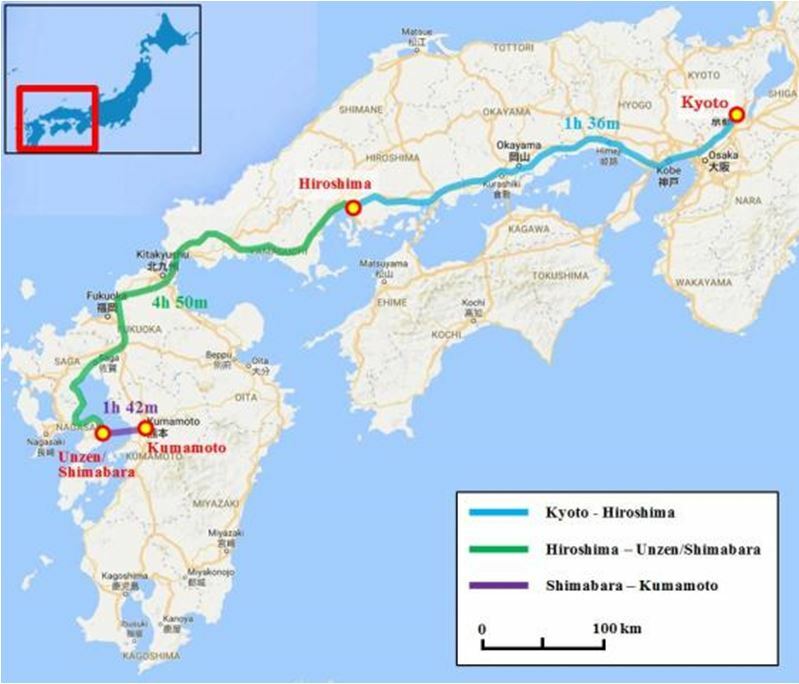 The field trip will take a Ferry from Shimabara (Unzen) to Kumamoto crossing the Ariake sea.